The story behind this dish is a bit silly…the first time I had it was while I lived in France – on Good Friday, which that year happened to also be April 1. As any good Catholic will know, serving fish on Friday is an old standby. 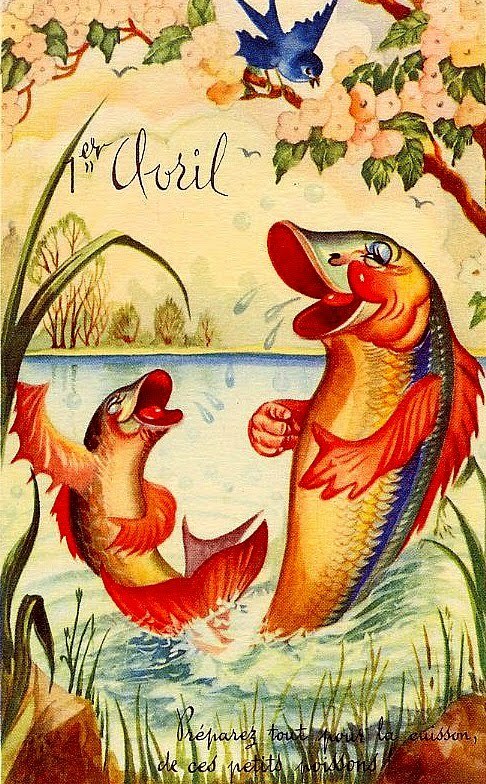 The funny part is that a practical joke played on April Fool’s Day is called “un poisson d’Avril” in French – an April fish. This dates back to Medieval times when King Charles IV changed New Year’s Day from April 1 to January 1. Thus the old holiday became a day of pranks. One of the first jokes played was to send someone to the market for “April fish” – the season for fresh fish ended in March, thus making the errand runner an April fool. 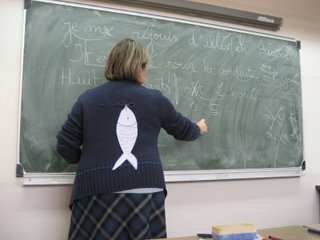 Today children stick paper fishes on the backs of their schoolmates and teachers; those who don’t remove them before anyone else notices are the April fools. This recipe may seem quirky, like a practical joke, but I assure you, it is a serious success every time I make it. Prepare the sauce in a small bowl: mix together the tahini and lemon juice with a fork or small whisk, then dilute gradually with the water. Add the herbs and spices and mix well. Set aside for at least 30 minutes. Lightly brush a large baking dish with vegetable oil (dish must be large enough to accommodate fish fillets in a single layer). Place the fillets in the pan and cover with the sauce. Sprinkle the walnuts over top. Cover dish with aluminum foil and bake in a preheated oven at 350F/175C for approximately 30 minutes or until fish is easily flaked and sauce is bubbling. Serve with lemon rice or panfried potatoes and seasonal vegetables. Pair with an Alsatian white wine like Tokay Pinot Gris or Riesling.